The Azerbaijani parliament ratified an agreement on the construction of a separate gas pipeline to transport gas to Turkey through its territory, as well as an agreement on the Trans-Anatolian gas pipeline system (TANAP) between the governments of Azerbaijan and Turkey. As the deputy speaker of the Azerbaijani parliament, Valeh Alesgerov said during discussions, Azerbaijan, which previously had no access beyond its borders, currently transports its hydrocarbons to the world market using seven pipelines. "There is a need for new projects to transport Azerbaijani gas to the European market. A new gas pipeline will be constructed based on already held negotiations," he said. According to Alesgerov, there is a need to construct a gas pipeline that will allow the transportation of Azerbaijani gas and that of other Caspian countries in the future, the volume of which will be increased as a result of discovering new reserves. India's Oil & Natural Gas Corp. (ONGC) plans to raise up to $900 million dollars in the first quarter of 2013 through a dollar bond issue to fund an acquisition in Azerbaijan, Reuters reportes with the reference to a top official said. In early September, the American Hess company agreed to sell its share in the development project of Azeri Chirag Guneshli oil fields (2.72 per cent), as well as 2.36 per cent stake in Baku Tbilisi Ceyhan pipeline to ONGC. The transaction value is estimated at $1 billion, the report stated. The company expects to complete the transaction in the first quarter of 2013. Two sources with direct knowledge of the deal told Reuters that Indian company's unit ONGC Videsh, has hired Deutsche Bank, Citigroup and RBS for the fund raising. According to the sources, the firm is expected to issue bonds with 5- or 10-year tenure and the deal is expected to hit the market in January after the documentation process is complete. Reuters reported that Indian issuers can borrow up to $750 million in markets abroad under the automatic approval route and must seek Indian central bank permission to raise more. "If we get permission, we will raise $900 million. Otherwise it will be $750 million," a separate source with direct knowledge of the matter said. The National Development Fund (NDF) of Iran has allocated $1.5 billion for developing oilfields located in the Persian Gulf, IRNA quoted Iranian Offshore Oil Company's managing director Mahmoud Zirakchianzadeh as saying. The sum will be spent on developing a number of fields, such as Esfandyar, he added. According to the law, 37.5 per cent of oil revenues go to the development of oil and gas fields and is deposited into the NDF and 62.5 per cent is spent as the current budget. On October 14, Zirakchianzadeh said that Iran has prepared new oil development plans at an estimated cost of $14 billion, related to oilfields located in the Persian Gulf. "As much as $20 billion worth of deals have been signed within the past two years," he said, "Some $14 billion worth of new deals have been prepared and will be offered to contractors," he added. The deals are related to Farzad A & B, Soroush, Esfandyar, Tossan, and Alfa fields, Zirakchianzadeh noted. Iran has also attached priority to boosting gas production capacity at its joint oilfields with Qatar and Saudi Arabia. Iran has started drilling the first development well at South Pars gas field's phases 22-24. The Sina drilling rig, the same rig that drilled the phases' first exploratory well, is drilling the development well, the IRNA News Agency reported. The first exploratory well of phases 22-24 of the South Pars gas field, south of Iran, was drilled by the Pars Oil and Gas Company (POGC) in June, the Pana News Agency reported. Various studies show that the drilled oil layer has the capacity to produce 20 million cubic feet of natural gas per day. Roughly 12.5 million cubic meters of natural gas will be produced from the South Pars gas field phases 22-24 once the phases become operational by May 2013, the Shana News Agency quoted the phases 22-24 project manger as saying. Farhad Izadjou added that $5.144 billion will be invested to develop the three phases, which are aimed to produce 56.6 million cubic meters of sour gas, 75000 barrels of gas condensates, 400 tons of sulfur and 870 tons of LPG. Iran has attached the priority on boosting gas production capacity from its joint oilfields with Qatar and Saudi Arabia, Oil Minster Rostam Qasemi said in June. Iran sits on the world's second largest natural gas reserves after Russia and is trying to grow its gas production by increasing foreign and domestic investments, especially in its South Pars gas field. The field is shared by Iran and Qatar. The Iranian share, which is divided into 29 phases, has about 14 trillion cubic meters of gas, or about eight percent of the total world reserves, and more than 18 billion barrels of liquefied natural gas resources. ExxonMobil is interested in the unconventional hydrocarbon resources of Kazakhstan, representative of Ministry of Industry and New Technologies of Kazakhstan said. "ExxonMobil has expressed interest in unconventional hydrocarbon resources in the frame of a memorandum signed between KazMunaiGas, KazMunaiGas Exploration Production and ExxonMobil Kazakhstan North Caspian Onshore Exploration Limited," the source said. In particular, the company has expressed interest in the possibility of studying the potential of shale gas development in Kazakhstan. 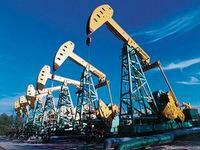 The reserves of shale gas in the country have not been fully investigated, the ministry representative said. In addition, work on the determination of promising areas for exploration and development of shale gas have not yet been launched. ExxonMobil is the world leader in exploration and production of unconventional hydrocarbon resources. Shale gas which is produced from shale, consists mainly of methane. Fitch Ratings has upgraded Long-term foreign currency Issuer Default Rating (IDR) of Kazakh National Oil and Gas Company KazMunaiGas (KMG) to 'BBB' with a Stable Outlook. Company's Long-term local currency IDR was upgraded to 'BBB+' with a Outlook Stable. Short-term foreign currency IDR was affirmed at 'F3'. Local currency senior unsecured rating was upgraded to 'BBB+'. Fitch has also upgraded KazMunaiGaz Finance Sub B.V.'s foreign currency senior unsecured rating to 'BBB'. "The rating actions reflect the agency's upgrade of Kazakhstan's Long-term foreign and local currency IDRs to 'BBB+' from 'BBB' and 'A-' from 'BBB+', respectively, on November 20, 2012. The Outlooks on Kazakhstan's Long-term foreign and local currency IDRs are Stable," Fitch said. According to Fitch, the rating can be upgraded if sovereign ratings are upgraded. The ratings can be degraded if sovereign ratings degrade, state support to the company weaken and undertakes aggressive acquisitions and/or an investment programme resulting in further material deterioration of the standalone credit metrics. KazMunaiGas is the Kazakh national operator for hydrocarbon exploration, production, processing and transportation. The state owns 100-percent shares of the company. North Caspian Consortium North Caspian Operating Company BV (NCOC) is working on a project to re-injection of gas at Kashagan, the press service of the company said. "NCOC is working on the development of the gas re-injection project (CC01 project) and discussions are ongoing with the PSA Authority," the source said, responding to request to comment on the information of the Bloomberg agency with regard to the delay of oil production increase from the field. According to the spokesman, the work on the project, which includes the injection of natural gas into the reservoir, would begin this year. Bloomberg reported, citing its sources, that the plan to increase oil production by 20 percent at Kashagan may be postponed, which will reduce the time to recoup the costs of a project worth $46 billion, which was already late for 8 years. "Kazakhstan recommended partners to suspend plan worth $ 5 billion on production increase from 370 thousand barrels to 450 thousand barrels per day until the partners learn how the start of production will affect the field," the sources, who asked to remain unnamed, told the agency. According to the source the project of gas injection into the reservoir should help to increase oil production. "The consortium is holding negotiations with the competent authority - the Ministry of Oil and Gas of Kazakhstan on this project," the press officer said. Recall, it was initially planned to start production at the Kashagan field in 2005, but it was postponed to the end of 2012 - beginning of 2013 due to technical difficulties. North-Caspian project is implemented under a production sharing agreement for the North Caspian Sea, signed on November 18, 1997, and includes Kashagan, Kayran, Aktoty and Kalamkas fields. At present the Kashagan project participants are Eni, Royal Dutch Shell, Exxon Mobil, Total and KazMunaiGas, which owns equal shares (16.81 per cent), as well as ConocoPhillips - 8.4 per cent and Japan's Inpex - 7.55 per cent. South Korea's Korea Gas Corporation (Kogas) took part in a presentation on "Cooperation in the field of natural gas between Turkmenistan and Korea" in Ashgabat, the Turkmen Ministry of Petroleum and Mineral Resources said. The employees of the departments of the Turkmen Ministry attended it. The issues of increasing the bilateral potential were discussed during the three sessions. These issues include the current status of the Turkmenistan-Afghanistan-Pakistan-India (TAPI) project, and in particular, the proposal made to Kogas Turkmenistan regarding the project. Such aspects as the stability of Korea's success on demand and supply of gas and cooperation between Turkmenistan and Korea, the natural gas industry in Korea were also discussed at the presentation. According to the information, Korean specialists have emphasized the great potential for expanding their presence in the Turkmen market. This interest is clear as South Korean companies have been already involved in the development of the largest field in Turkmenistan on the service conditions, which is considered as a raw material source for TAPI. The matter rests in a contract signed between Turkmenistan and a consortium of companies LG International and Hyundai Engineering in 2009 for the design and construction of a complex on purifying commercial gas from sulfur with the annual capacity of 10 billion cubic meters of the total amount (including VAT) $1.5 billion on one part of Galkynysh field. It was reported earlier that Seoul is willing to offer the know-how and take part in new joint projects, as well as assist in the training of local skilled employees.